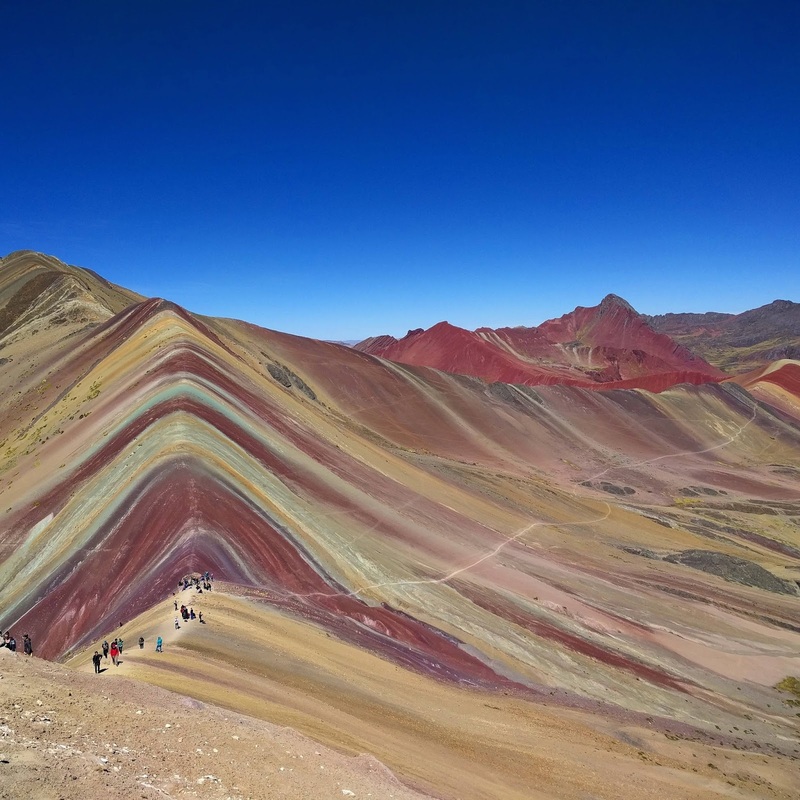 Located just 3 hours from Cusco, but comparatively unknown until recent years when climate change caused the overlying snow to melt and reveal the colorful formation. More photos at Google Images. Further discussion and relevant links at the EarthPorn subreddit. Tip: "there are locals with horses that charge $20-30 to take you to the top." Useful to know because the hike begins at an altitude of 14,000 feet and rises to 17,000 feet where the above photo was taken. looking through the google images, i wonder how many of those have been color adjusted to look more dramatic? That is really fascinating. I wonder if I could walk it without supplemental oxygen? Reminds me of our own Painted Hills desert in Oregon (my favorite is the 2nd to the last picture). Are high school AP classes a scam? This is called a "Zion curtain"